Swapping kits after a match is a soccer institution. Despite 90 or so minutes of battling against each other, opposing players often trade shirts afterward. At the end of United’s 4-0 drubbing of Reading, it appeared that Reading’s George Evans didn’t get the memo. 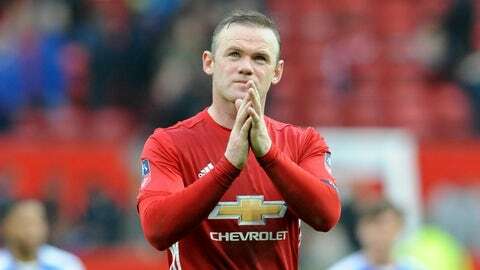 From the looks of this post-match clip, he was very much OK not swapping kits with Wayne Rooney. It definitely looked like Evans wanted no part of trading jerseys with Rooney, and Rooney’s face afterward suggested he was surprised to be rebuffed. It seemed like a curious decision too because the Manchester United forward just made history in that kit. Rooney tied the Sir Bobby Charlton’s all-time scoring record for United, so it’s a pretty important moment. But wait, there’s a happy ending to the tale! Evans, to his credit, just didn’t want to swap shirts on the pitch. That makes a bit of sense, as some of the away fans might be a bit sour with the affair. Instead, he and Rooney made the exchange in the tunnel after the match.